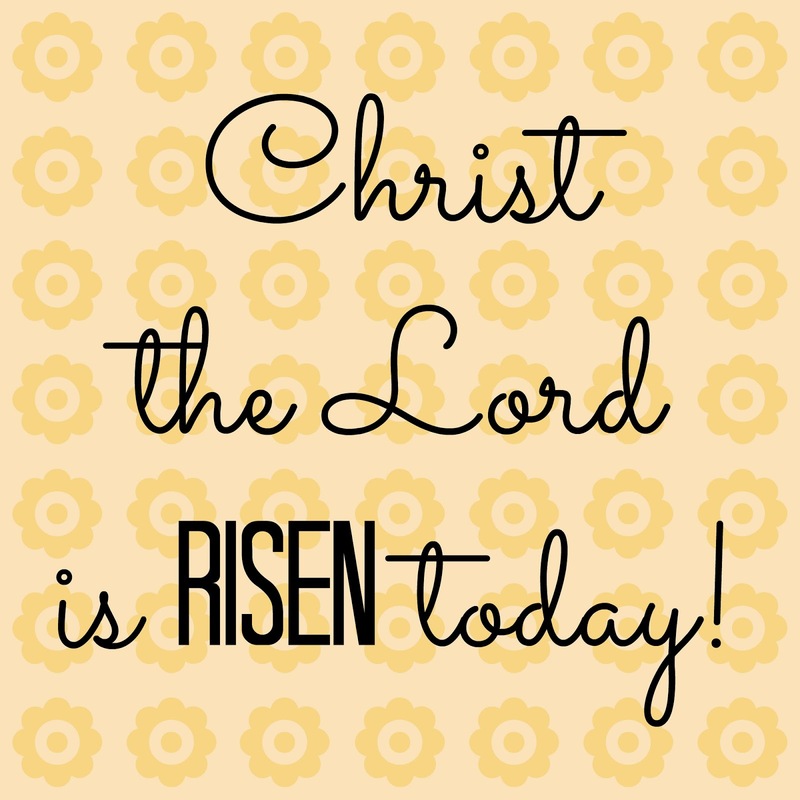 Christ the Lord is ris'n today, Alleluia! Sons of men and angels say: Alleluia! Raise your joys and triumphs high, Alleluia! Sing, ye heav'ns, and earths reply: Alleluia! Lives again our glorious King, Alleluia! Where, O death is now thy sting? Alleluia! Dying once He all doth save, Alleluia! 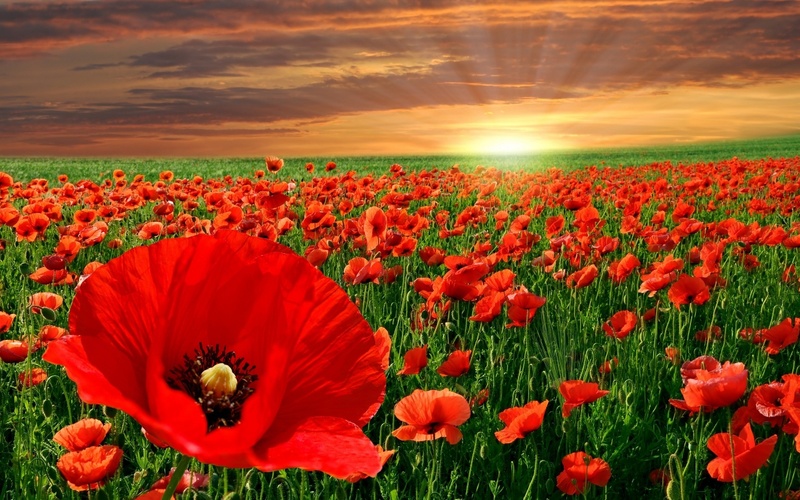 Where thy victory, O grave? Alleluia! Love's redeeming work is done, Alleluia! Fought the fight, the battle won, Alleluia! 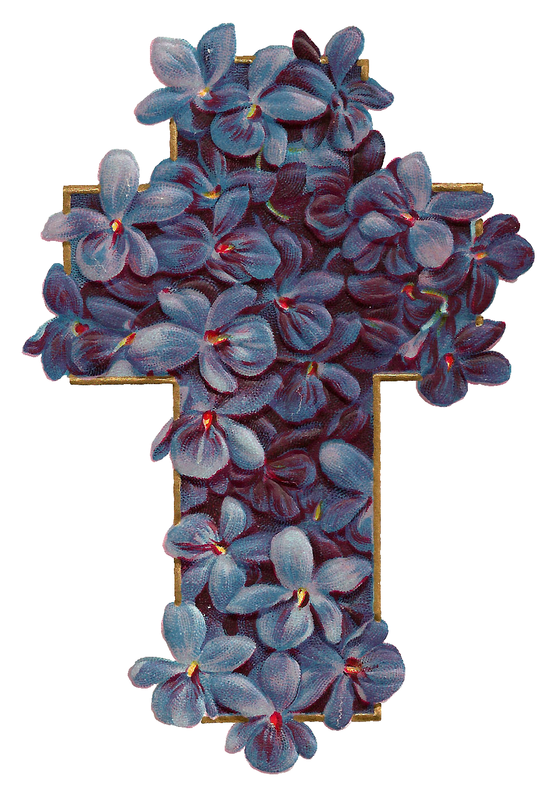 Death in vain forbids Him rise, Alleluia! Christ has opened Paradise, Alleluia! Soar we now where Christ has led, Alleluia! Foll'wing our exalted Head, Alleluia! "What a glorious truth to ponder - Jesus is not the "Great I WAS"
but rather the "Great I AM!" He is a present-day, living reality." and behold I am alive forevermore, Amen. My heart and soul soars with joy and gratitude for my LIVING Savior. Oh what a loving and triumphant King we serve! 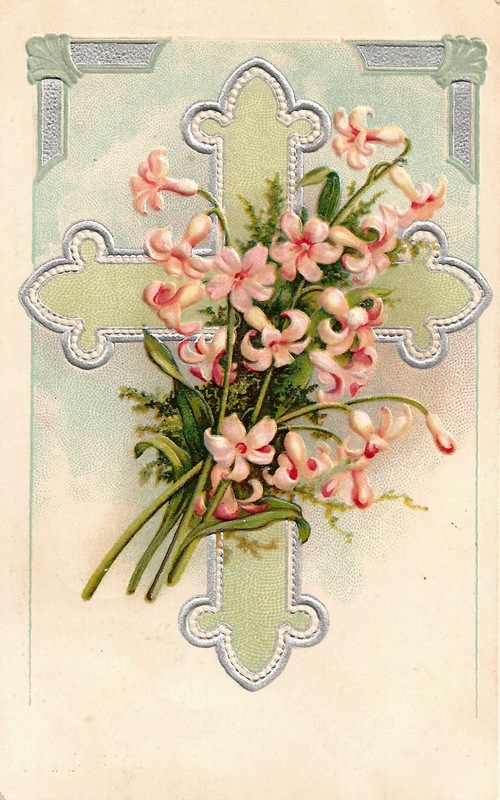 Wishing you and yours a glorious Easter filled with the joy of Jesus Christ. Have a blessed Lord's Day, precious friends! There can never be a greater gift than this. substituting Himself in our place to suffer the righteous judgement of God on our sins. Six times this wonderful affirmation is found in God's Word. 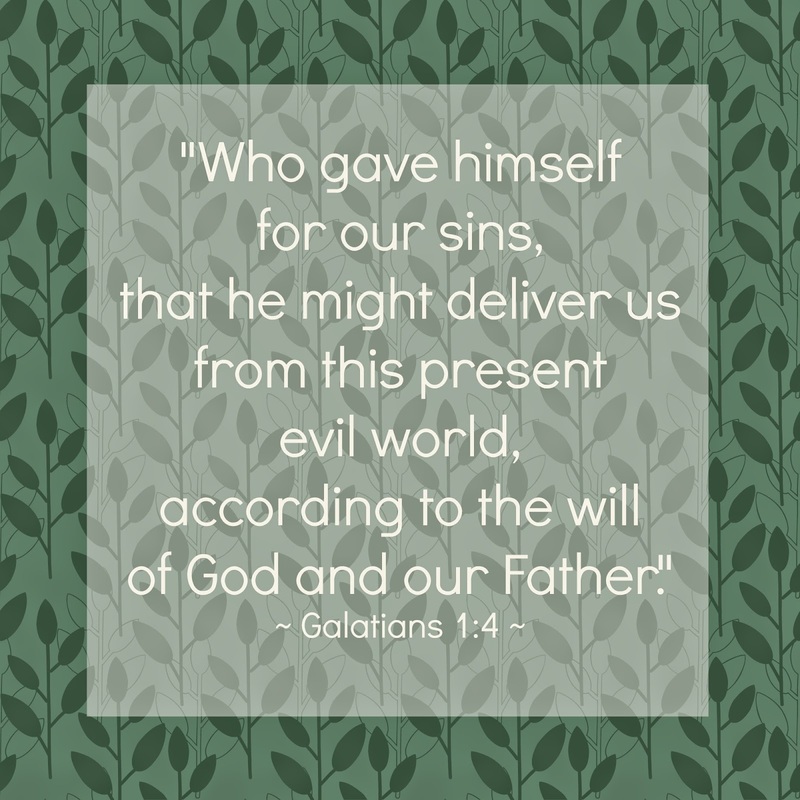 He paid the price to deliver us from this present evil world into the eternal world to come. Then, in the next occurrence, this promise is made intensely personal. Christ "loved me, and gave himself for me" (Galatians 2:20). The gift Christ gave is more than the world could ever give. The supremely sacrificial nature of His gift is then emphasized. "Christ also hath loved us, and hath given himself for us an offering and a sacrifice to God"
a glorious church" (Ephesians 5:25,27). as He "gave himself a ransom for all, to be testified in due time" (1 Timothy 2:6). and this is the testimony of the final occurrence of this great declaration. and purify unto himself a peculiar people, zealous of good works" (Titus 2:14). May your weekend be filled with blessings and joy! The scent of lavender is so calming and relaxing, don't you agree? Lately I have been making several sachets to tuck in places around my home. A cross for Easter seemed like a good idea since it will be visible to those that visit my home. so that I might have salvation and eternal life. to the Jew first, and also to the Greek." So I made a couple lavender sachets in the shape of a cross. Cut out two pieces of fabric in the shape of a cross with pinking shears. Mine were about 4 inches long so the sachets are small. I then cut out two more pieces of lace fabric to put over the pink cotton fabric. 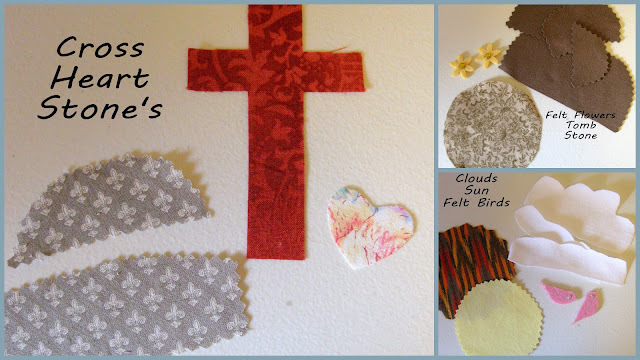 Sew along the edges and leave an opening at the bottom so you can fill the cross with dried lavender. 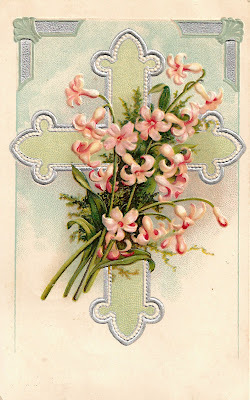 Use something pointy, but dull, to push the lavender into the side of the cross. Then finish sewing the bottom. You can apply ribbon to your cross. I used hot glue to put the bow on and added a pearl. I hear the Savior say, "Thy strength indeed is small! Child of weakness, watch and pray; find in Me thine all in all." I'll wash my garments white in the blood of Calv'ry's Lamb. Sin had left a crimson stain - He washed it white as snow. He did not pay for half and expect us to finish the payment - He paid it all. Forgiveness and salvation is offered through the shed blood of our Savior. All to Christ I owe! That mark out the mountains track?" Ere the Shepherd could bring him back:"
They're pierced tonight by many a thorn." Rejoice! For the Lord brings back His own!" When you lose your fire, you need to revisit the cross. And I have now been thinking about a certain hymn that goes along with this sentence. for my Savior's willingness to die on the cross for my sins. the sins of the world so that you and I might have life-everlasting through Him. Simple faith in Christ Jesus is all it takes. How humbled I feel when I think of all that Jesus has done! and what this sweet lady shared hit a chord within me. remembering ALL that I have because of Jesus. May you have a blessed Lord's Day! and when I walked through the door there were four tea cups sitting on a table. I was so excited that I practically ran over to them. Do you ever have those moments when you KNOW you should stop by the thrifty store? I chose two tea cups out of the four - the blue flowered cup and the yellow flowered cup. because of the pretty blue color. Just look at the uniqueness of this yellow flowered tea cup. I haven't seen one with these colors and different handle shape. I absolutely LOVE the handle on this tea cup! with its pretty butterflies and strawberries. The shape of the tea cup is very charming. What a lovely day at the thrifty store! I was able to purchase these tea cups (all made in England) for $15.00. There was a big smile on my face when I walked out the door! Have a sweet and precious day! Remember the dress yesterday from eShakti? a 20% off coupon valid from now until April 10th. It can be clubbed with another gift coupon or gift card. and you can use that plus the discount when you checkout. and received a dress from them. (yes, I can be picky). because I am somewhat tall and I have a looooong torso. Most things are too short and too low. which is the way I like them. I also have a difficult time finding shirts that are high or long enough. because they offer customization on their clothing to suit YOU. or if it's too long for you, you can shorten it. If you don't like the neckline, you can change it. Want a different sleeve-type, no problem, they have lots of options to choose from. You can also get pockets or have them removed. I love pockets so I was very excited to get them on the dress. was originally a dress that was above the knee with no sleeves. I chose to have it made below knee length and I had sleeves put on. I was very pleased with the detail on the dress. And the gold buttons and pleats are the perfect touch. (do you see Rosie Girl by my legs? She likes to get her picture taken). and all of our different body shapes. because I know there are other ladies out there that have the same struggle. eShakti makes it so easy and their clothing is adorable and well-made. (I am loving the pockets). I would highly recommend eShakti. then you can register and receive $25.00 off your first purchase. I hope you are able to visit them and find something you like. they will be retiring Google Reader in July, 2013.
and that's where I read all the updates for every blog that I follow. and they have been questioning if Google will also retire GFC Followers. Many have said it's probably likely they will get rid of it. and I don't want to lose their information so I have started using Bloglovin. My thinking is: Be Prepared! and it keeps you up-to-date on each blog. I would love to have you follow The Enchanting Rose on Bloglovin. if you're wondering what to use to keep all of your blogs organized. It's very user-friendly (which is what I need). Just click on the icon below and it will take you where you need to go. 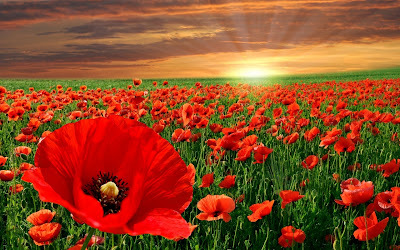 Blessings to you, my dear friends! Easter is such a wonderful time of the year. and then be able to celebrate His resurrection three days after His death. and is now in heaven preparing a place for those that put their faith and trust in Him. Oh what joy and blessed peace we have because of our loving Savior, Jesus Christ! and then rising three days later. since this is what Easter is all about. Cut card stock to the size of each picture spot. I cut three at 4 x 6. I used fabric for each cut out. (you could use paper instead of fabric). and placed it onto the card stock. I added flowers and birds for the finishing touch. I hope the pictures are okay. ye therefore do greatly err. but these are only temporary intruders, as it were. is our living Savior, alive forevermore. It is appropriate, therefore, that the term "living"
is applied over and over again to great truths of the Christian faith. For example, the Holy Scriptures are called "the lively oracles" (Acts 7:38). thus the Bible is God's 'living word." Jesus Christ called Himself "the living bread which came down from heaven,"
sent down by "the living Father" (John 6:51, 57). He also promised that all who believe on Him would find "living water"
flowing through their lives (John 7:38). that is to say, his flesh" (Hebrews 10:20). by the resurrection of Jesus Christ from the dead" (1 Peter 1:3). into which we come through Him. acceptable to God by Jesus Christ" (1 Peter 2:4 - 5). holy, acceptable unto God, which is [our] reasonable service" (Romans 12:1). Our God is, indeed, the God of the living! I am finally back after a nice two week break. I have missed all of you a great deal! for being gracious and willing to write a guest post for my blog. Each one is a treasure and precious blogging friend. I hope you enjoyed them and their posts. If you missed their guest posts, click on the links below. but I actually didn't go anywhere. My laptop needed a few repairs so I had to send it away to Texas. Hopefully everything is back in tip-top shape. I must say I thoroughly enjoyed my time away from the computer. Isn't it amazing how quickly we become dependent on the Internet? I am on the computer without really consciously thinking about it. more coffee in the afternoon and what do I do - get on the computer. to how much time I spend sitting looking at the computer screen. A few things I enjoyed while being home but "away" was the time spent reading books. When I climb into bed, I turn on my little reading light and will spend hours laying there reading. I was able to get 4 books read during the last two weeks. I got quite a bit of sewing done. A new Easter dress for me. A turquoise belt and a light pink cardigan will finish the look. The dress was not planned....I stopped by Hobby Lobby and saw this beautiful fabric. In the end I spent about $20.00 for a new dress - not bad. I also sewed up a skirt. but I actually like the Indian look and feel of it. All I need is turquoise jewelry to finish the look. Then I made a couple of pinwheel throw pillows with pretty flowers attached to the middle. I was able to get my dead flowers pulled out of my garden. I am very behind as this should have been done in the Fall. Then my son and I cleaned/organized the shed and got a pile together for a yard sale. It's been ages since we've had a yard sale so I think it's time to de-clutter. I was also able to work on an Easter piano piece....Lord-willing it will be ready by Easter Sunday. in the setting of G.F. Handel's Hallelujah from The Messiah. All-in-all it was a very productive and relaxing two weeks. This may sound silly, but I also did some soul-searching while I was away from the computer. that I had been setting up for the last month. My goal was to finish things up and open by the end of this month. and to take it to the Lord for His approval and direction - to see what He wanted. trying to keep an Etsy shop full with handmade goods. I don't want to miss out on family moments and daily living. when all that legitimately concerns us is today. there are some items on the agenda which God did not put there. Let us submit the list to Him and ask Him to indicate which items we must delete. There is always time to do the will of God. If we are too busy to do that, we are too busy. because He knew I needed that time to see things through His eyes. I apologize for the lengthy post. I guess I needed to share some of my heart with you sweet friends. I am glad to be back and I look forward to visiting with all of you. She has enriched my life with her enlightening posts and hilarious day-to-day moments. so I would encourage you to take a moment and go visit her. My kids were ages one and five just yesterday. I know it. Somehow they just grew overnight. I don’t know, maybe I was in the bathroom shaving my legs or something and I missed it. I blog about all sorts of stuff. My loving Savior, my precious husband and children, organization, frugality, homemaking, homeschooling, chocolate, hairy legs and acrylic nails…..
but through it all I hope you will find laughter, encouragement and fun! What is one thing a mom craves and wants more of? What is the first thing that is sacrificed the most when mom gets busy? 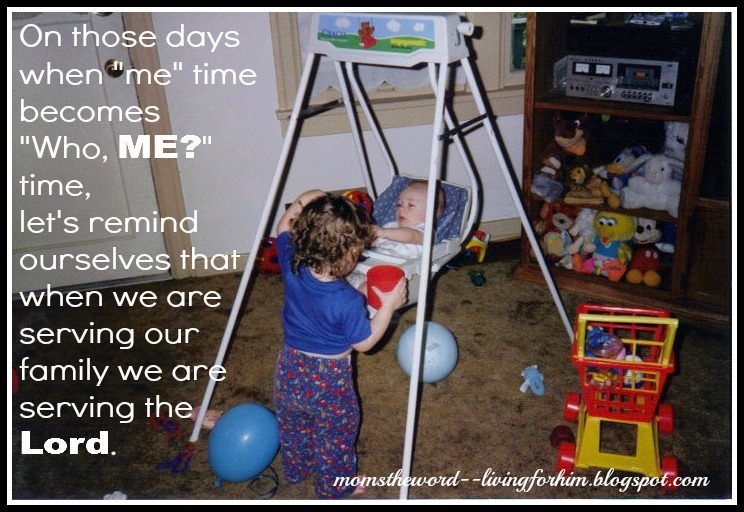 When my children were younger I really craved that "me" time. Sometimes that time consisted of me in the bathroom, on my knees in prayer - begging God to give me patience, kind words and sanity, while little hands were waving under the locked door, and little voices were hollering "Mommy? Mommy? What you doin' in dere?" I believe that it is good for a mom to take some time for herself and recharge. or out for a diet coke with a girlfriend. But I also believe that we moms have to accept the "job" of wives and momhood that we took on. We have to accept the role we fulfill in our families. We have to accept that it is not about us. 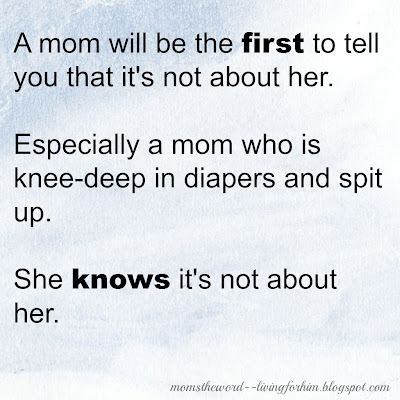 A mom will be the first to tell you that it's not about her. 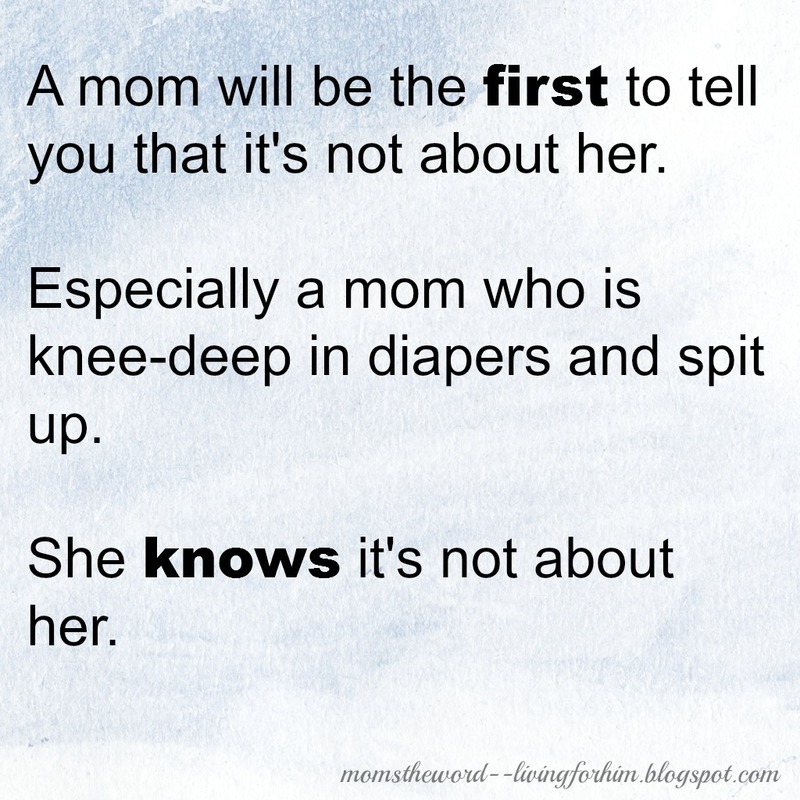 Especially a mom who is knee-deep in diapers and spit up. She knows it's not about her. But does she accept it or resent it? We moms can be martyrs, drudging along with our household responsibilities. Poor me. Look at all I have to do. No one appreciates me. cleaning toilets and cleaning bottoms. Are we serving our family joyfully or with an air of self-pity and martyrdom? Is that the image we really want to portray to our families? To others? To ourselves? That we are parenting in extreme suffering and distress? Are we complaining so much to our husband that he says "Well, if you're so unhappy at home with the kids, maybe you should just go out and get a job." Do we give the impression that we're happy being a mom or miserable? We're all going to have rough days now and then. We're going to have days when a bubble bath and a little quiet seems like an impossible dream. We're going to have nights with a sick child or a screaming baby or a rebellious teenager. But we're going to have days where our baby's smile takes our breath away. Where our child's hug warms our heart. Where our teenager's "I love you, mom" brings tears of joy. On those days when "me" time becomes "Who, ME?" time, let's remind ourselves that when we are serving our family we are serving the Lord. and that "me" time will turn into "WE" time and we will have an amazing day with our families! Click on the link below to visit Nan and her amazing blog.